If Any One Is Asked To Auscultate The Chest, He/She Has To Auscultate For Both The Respiratory System And CVS During Auscultation Of Left Side Of Chest And Only Respiratory System During Auscultation Of Right Side Of The Chest. Always Compare With The Other Side. Always Say Vocal Resonance As Normal, Increased Or Decreased After Comparing With The Other Side. 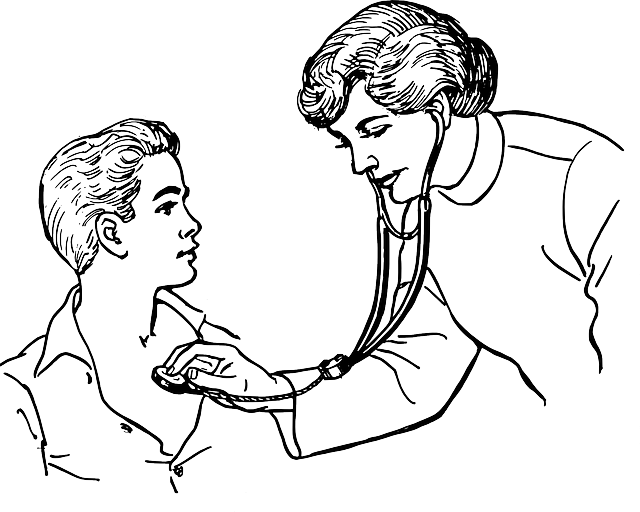 · Always Try To Auscultate With The Diaphragm Of Stethoscope. Place the palm of the hand or the ulnar border of the right hand over the intercostal spaces on the chest, comparing the corresponding areas on both sides. Both sides of the chest are auscultated area by area, comparing with the corresponding site on the other side. It is better to start from the apparently healthy side. - Qualitative change in vocal resonance with nasal intonation mimicking the bleating of a goat. - Seems to be spoken right into the auscultator’s ear.